Our engineers use hands-on practical experience to solve engineering challenges in any or all facets of your facility’s lifecycle. No matter what phase of the lifecycle your project is currently in, AMG has the tools, experience, knowledge, and resources to resolve your challenges and advance your project to the next phase and through future phases. While these phases are listed as discrete and separate, there is generally a significant degree of overlap. For instance, it’s not uncommon to be performing detailed engineering for piping while procuring equipment and instruments, and pouring concrete all at the same time. 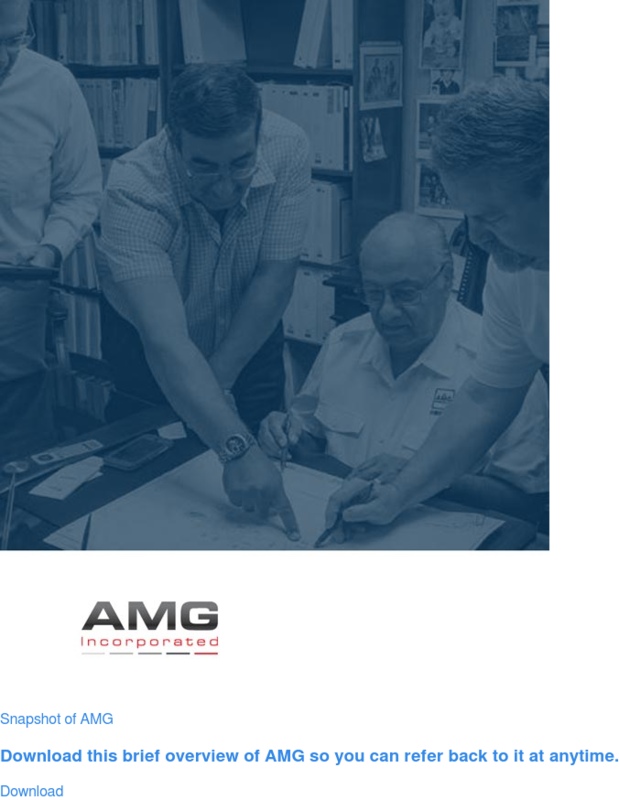 Many of our clients engage AMG to provide full-service engineering and design for an entire production facility. Others depend on AMG to provide engineering solutions for more basic problems like a small process modification such as adding a tank or pumping system, or even a simple as adding a maintenance monorail. No matter the size or complexity of your project, our team has the skills, knowledge, and hands-on experience to make your project a success. From PFD’s to Mass and Energy balances, pumps and heat exchangers to fermentation and down stream processing, our process engineering group has the process and unit operation expertise, hands-on experience, and know how to solve your processing challenges. AMG’s mechanical engineering team provides solutions for projects large and small, demonstrating expertise in areas such as mechanical equipment specification & design, ventilation and process aspiration systems, large bore ductwork stress analysis, pneumatic conveying and material handling systems, and specialty mechanism design. We have engineered systems from convenience circuits through medium voltage including power distribution, substations, motor control systems, variable frequency drives, raceway/conduit/tray/buss duct, underground duct banks, grounding, motor control centers, panel boards, and indoor/outdoor lighting. AMG has extensive piping design experience, stress analysis, and fabrication iso preparation with both process and utility piping systems and with a wide range of material specifications from threaded galvanized to glass lined and high temp corrosion resistant alloys. AMG has broad background in process instrumentation, control systems, and communication protocols. Our specification, design, and integration experience includes all common process sensor, valve, and transmitter technology, modern and legacy control systems, HMI’s, and SCADA systems. Our network and communication protocol experience includes conventional as well as more modern discrete and analog networks and bus protocols. We have the experience and breadth of knowledge to tackle your instrumentation and control projects.